Fortress REIT Limited has reported an increase of 4.53% to 141.8 cents for the group’s A-share distribution in the fully year to the end of June 2018, whilst its B-share distribution lifted 4.07% to 179 cents over the same period. The REIT now manages 308 direct property investments worth R30 billion, consisting of prime logistic warehousing, retail centres and offshore property. The company’s listed investments (which are predominantly exposed to the Euro) is expected to show sustained distribution growth. The listed property portfolio consists of three significant holdings in Nepi Rockcastle, Resilient REIT Limited and Greenbay Properties Limited with these investment stocks valued at R22 billlion on the 30th of June 2018. In particular, the construction phase three of an additional logistics facility in Louwlardia Logistics Park in Centurion (measuring 17,725 square meters) is nearing finalization and the warehouse has been let to a major tenant Vodacom on a new five-year lease agreement. The construction of phase two is complete and Worldwide Automotive Group has taken occupation of the 34,025 square meter facility. This development was concluded at a yield of 9.5%. 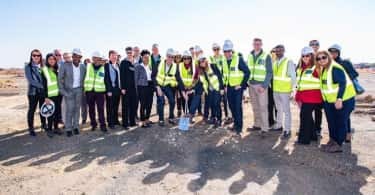 Several tenant-driven developments are being negotiated at present, with the first logistics facility at Clairwood Logistics Park, scheduled for completion in October this year. Among many other major logistics developments, construction of the new 18,925 square meter Makro store at Cornubia Ridge Park (opposite Umhlanga) is progressing well and beneficial occupation is planned for March 2019. Makro have signed a twenty-year lease for the facility. Meanwhile, trading density growth in the retail portfolio for the twelve months ending June 2018 has shown a 4.1% growth over the preceding twelve months, which is satisfactory given the headwinds faced by the economy. Fortress commenced extensions and refurbishments at The Plaza Mbombela, Central Park Bloemfontein and a new access road at Palm Springs Mall during the year. The earthworks required for construction of phase one at White River Shopping Centre has started and the top structure for this 10 000 m² centre will commence shortly. Fortress has a 51% interest in this development. The low growth currently being experienced in the office and industrial market is, however, expected to continue. In line with its strategy, Fortress will continue to dispose of its remaining office investments, which had a combined value of R2,9 billion at 30 June 2018 and consisted of 39 properties. Total vacancies as measured in gross lettable area increased to 7.4% from 5.8% at 31 December 2017. In particular, vacancies in the industrial portfolio increased due to continuing weakness in the local economy and the further de-industrialisation of the South African economy. Fortress is in the process of establishing a new strategy with regard to BBBEE and will engage with stakeholders in due course in this regard. During the reporting period, the dividend for the B share – these shares provide a right to the residual distributable income after settlement of any A share dividend and to the capital participation on winding up after calculating the A share settlement – was negatively impacted by a loan impairment on the Siyakha Trust due to the lower Fortress share price. The distribution contribution from Siyakha for the second half of the period was matched to the Fortress dividends earned by Siyakha. A restructure of the trusts was announced during the period to provide greater clarity and certainty for stakeholders, with the Siyakha 2 Trust (to be renamed the Fortress Empowerment Trust) repositioned as a BEE ownership vehicle with a relationship only with Fortress and which owns only Fortress shares and is funded only by Fortress. 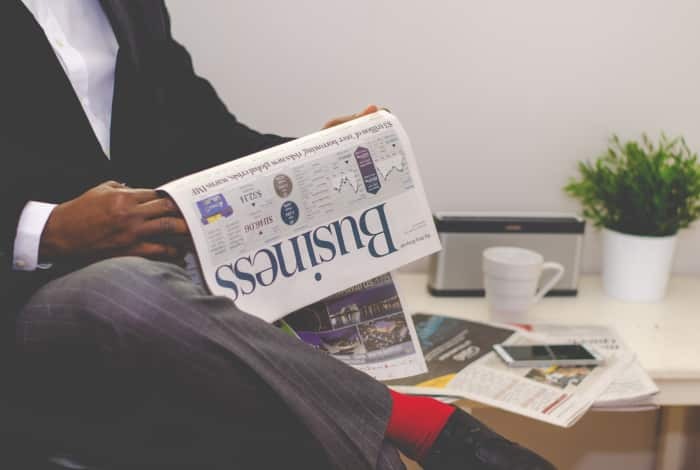 In a guidance note, and assuming that the A share dividend will increase by 5.0%, Fortress anticipates the B share dividend to grow between 175 cents per share and 183 cents per share for the 2019 financial year. The increase in dividends has, says Stevens, been calculated on the assumption that the macro environment “will not deteriorate further and that the current political landscape does not change dramatically”. “We are charting a course which entrenches our position and brand in the market, plays to our existing strengths, further diversifies our portfolio and drives home advantages – notably in logistics – that we believe have the best potential. We are gearing up for an agile future in which we can quickly take full advantage of property opportunities as they arise,” says Stevens. In an important change at board level, it was announced that Rual Bornman would be stepping down as Financial Director of Fortress for health reasons. This follows the announcement that one of South Africa’s most recognised and highly-regarded property developers and investors, Jeff Zidel, retired after a distinguished 47-year career in the industry. “We thank Rual for his wonderful contribution and strategic insights over the years. He will be sorely missed and we – wish him well in his recovery,” says Stevens. Bornman was appointed to the Fortress board in December 2015. 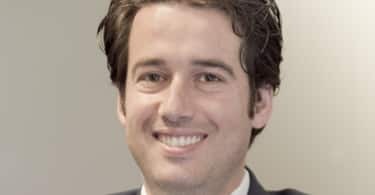 “As for Jeff, he has seen it all when it comes to property and retail development and his vision and astute leadership shone through during the close to ten years he spent with us,” says Stevens. Fortress, however, announced that Robin Lockhart-Ross has been appointed as an independent non-executive director and Steve Brown will be the new interim financial director and executive director. “We are excited to welcome strong new candidates on to our team and look forward to the contribution they will make as we look to drive growth and enhance value in this exciting next chapter for Fortress,” concludes Stevens.